Another year has gone by and we are so eager to see what 2018 has in store for us and our community. However, we can’t help but look back on all the magical cheer of the New Year’s Eve event that took place here last Sunday. 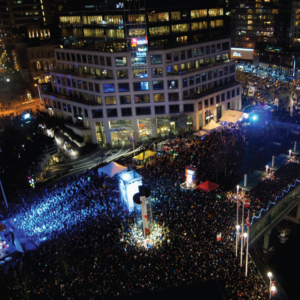 We are always enthusiastic to be a part of one of Vancouver’s biggest holiday events as we find ourselves right in the middle of all the joyful celebrations. 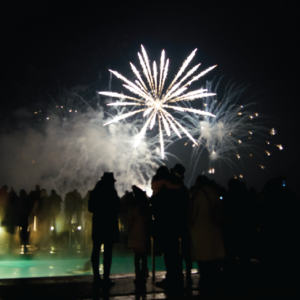 Thousands of cheerful attendees swarmed Coal Harbour in excitement as live music played, great food was devoured and awe-inspiring fireworks shot into the evening sky. Whether you were there with us or not, you don’t want to miss this recap of all the fun we had. 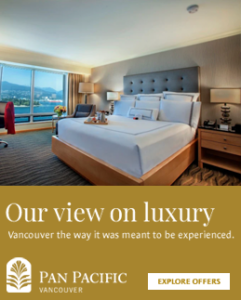 We would also love to see the event from your eyes – if you have photos, share them using #panpacificvancouver. 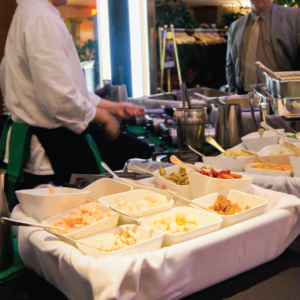 You could be featured on Pan Pacific Vancouver’s social feed! Our view from the rooftop pool. A beautiful performance by the Emily Chambers Quartet. Looking upon the thousands of attendees. Indulging in the incredible food available. Thank you so much for joining us in celebrating this year, and we wish you the best 2018 you can imagine!